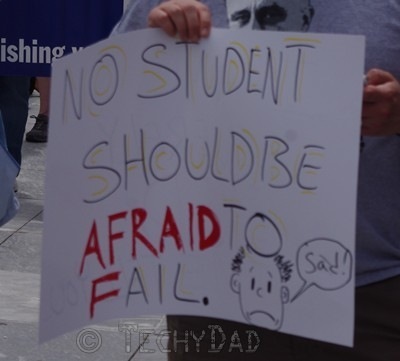 On Monday, I wrote about Common Core, the over-testing that is stressing our kids, and the emphasis on tests that is causing teachers to need to focus their lessons only on what will help their students fill in the right answers on a Scantron form. 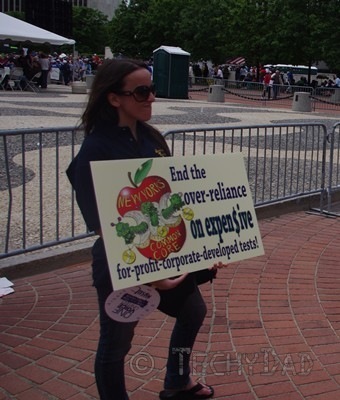 We attended the One Voice United rally to help protest all of this. 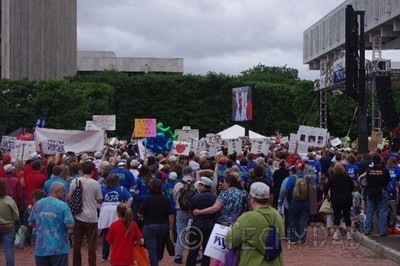 When we arrived, there were already a lot of people gathering. 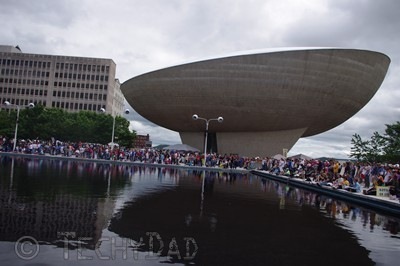 Buses had taken people from Long Island, Buffalo, and lots of places in between. 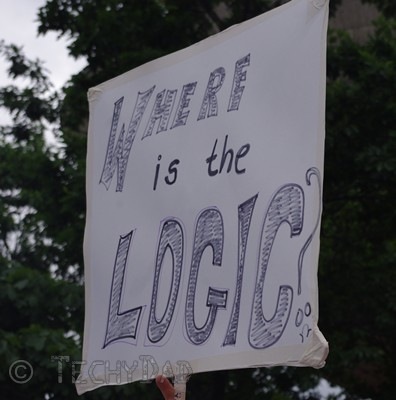 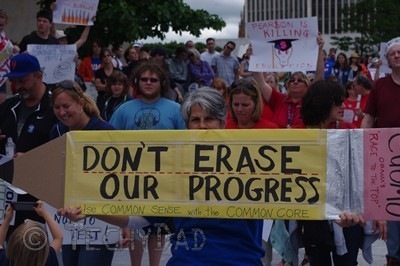 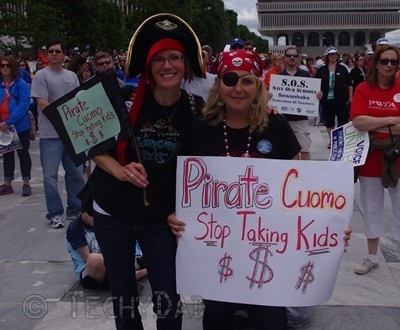 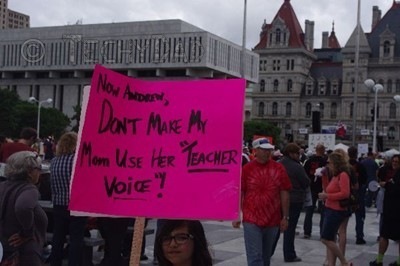 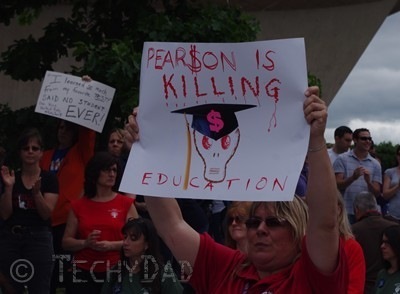 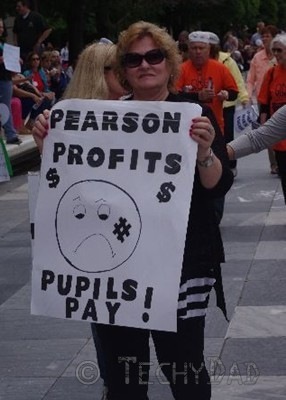 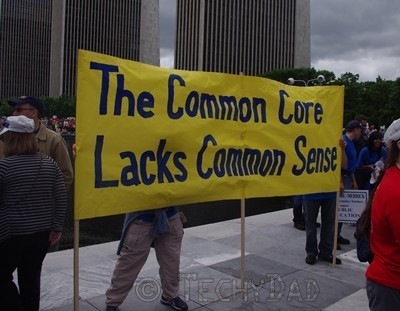 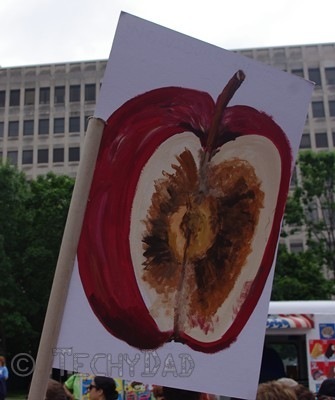 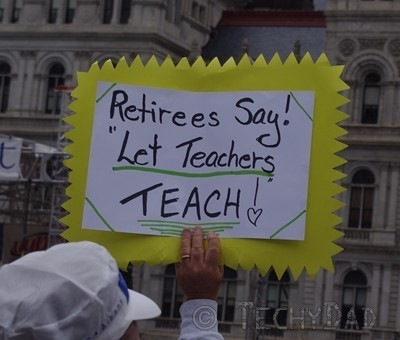 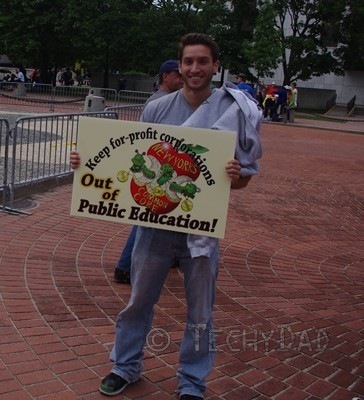 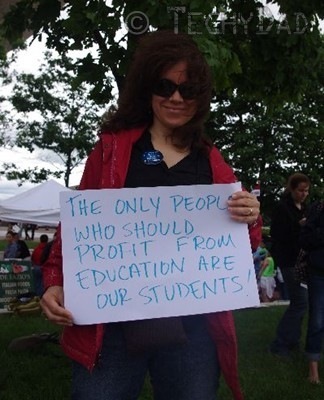 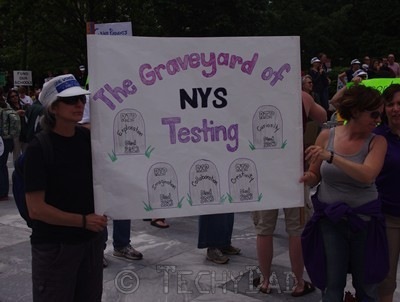 Everyone was converging on the Empire State Plaza in Albany, NY and many people were carrying some amazing signs. 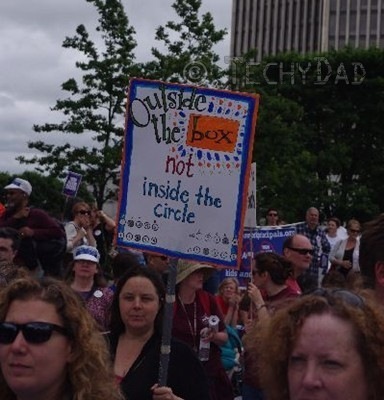 It was quite a sight to behold. 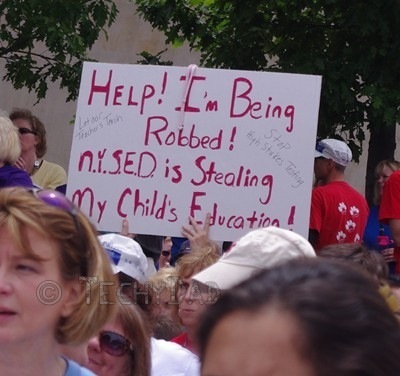 I could use more words to describe it, but I think I’ll let these photos tell the story.